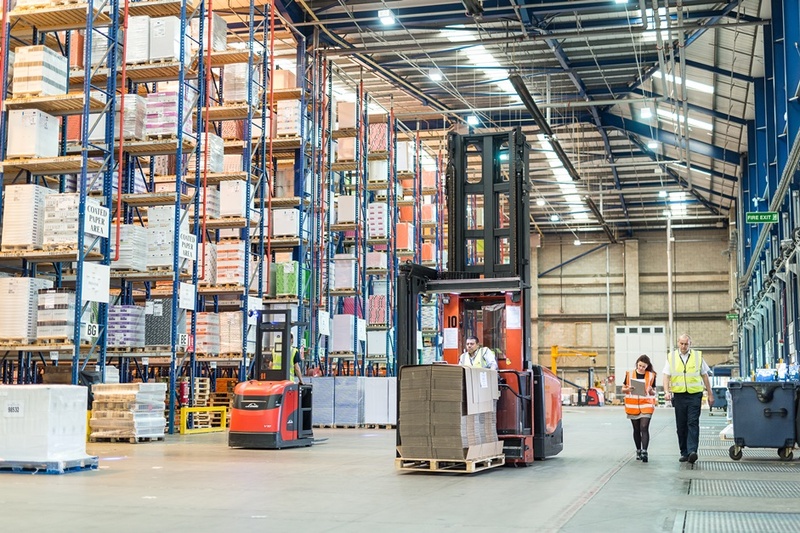 Warehouse space is becoming more and more valuable, but it's difficult to come by when trying to reach the ever-changing demands of customers. This has created a huge challenge for warehouse managers around the globe, who need to optimise space, while also making sure there's enough inventory and packaging supplies. The proportion of warehouse space taken up by high-street and online retailers has more than doubled in the past four years up to 2015, and since then makes up around 40% of the market. With vacancy rates having fallen from 20% in 2009 to only 7.6% in 2015, lack of available space is now one of the biggest concerns. Allocating large volumes of storage space to packaging supplies may seem like it's unavoidable. But there are actually lots of ways to reduce storage costs and optimise space, while also reducing waste and keeping packages secure. You can harness space as well as ensuring your items are secure and protected with pallet boxes. These recyclable palletised containers are not only economical in terms of space, but they can be stacked high so more can fit onto a pallet, are strong enough to deal with heavy loads, and are easy to move around with a forklift. They're also supplied collapsed flat in a single unit; the empty pallet box folds up to save space and transport costs. These are usually known to reduce time and improve throughput rates, but they can save space too. The boxes come flat packed and to assemble them the only thing that packing operatives need to do is push the bottom of these boxes into place. This means that they can reduce the floor space needed for assembly and storage. Triangular in shape, this means the tubes will not roll off a standard conveyor belt system, reducing the risk of damage or loss. A strong structure consisting of a single piece of self-adhesive rigid corrugated board, the tubes also arrive flat packed and interlock when assembled. This improves palletisation, saves on transport costs and there is no requirement for a plastic end cap. Free up valuable space by making your storage racks mobile, instead of static. For example, if you've got 10 rows of storage racks, this means you have 9 aisles all taking up valuable space100% of the time; you're using up lots of floor space that's rarely used. By removing 8 of those aisles, you almost double the available storage space. This can be achieved by mounting your rack and shelving on sliding carriages that can be moved to open the aisle space only between the rack and shelving rows you need to access at any given time. When you consider the 10 rows of racks (and they're more than 50 feet long), that's a lot of square footage you can get back. Is your void-fill taking up valuable storage space? A paper-based solution using one A4-sized pack of paper creates the same filling as three large bags of polystyrene chips. It means you can create void-fill onsite and on demand, free up storage space, and streamline your packaging. Or, there's foam! Foam-in-bag protective packing systems rely on the chemical reaction that takes place when two substances meet, causing them to expand inside the bag. The bag is then placed into a box where the foam continues to expand around the item to form a solid protective casing. This solution allows bespoke protective foam shapes to be moulded on demand, reducing the need to store quantities of pre-formed foam end caps or corner protectors on site. Of course, there are loads more ways to make the most of your warehouse space. download the space optimisation infographic to find out more. Our experts share what's new in the world of packaging materials, design and technology. Do you have a packaging challenge you need to solve, but you're unsure where to start? Every one of our team are packaging experts and understand key issues that affect the packaging industry. That's why we're able to recommend the best packaging solutions for your unique needs making us Europe's number one packaging merchant. Every one of our team are packaging experts, we can help you save money without compromising on quality, achieve production line efficiency and effectiveness.